Central Minnesota has many talented wedding professionals so the options are endless to create the perfect music atmosphere for your wedding! Sharon is a performing pianist with 20 years experience playing in the hotels, clubs and private venues throughout Minneapolis, St. Paul and central Minnesota. She has the piano 'KEYS' to make your event sparkle with music! 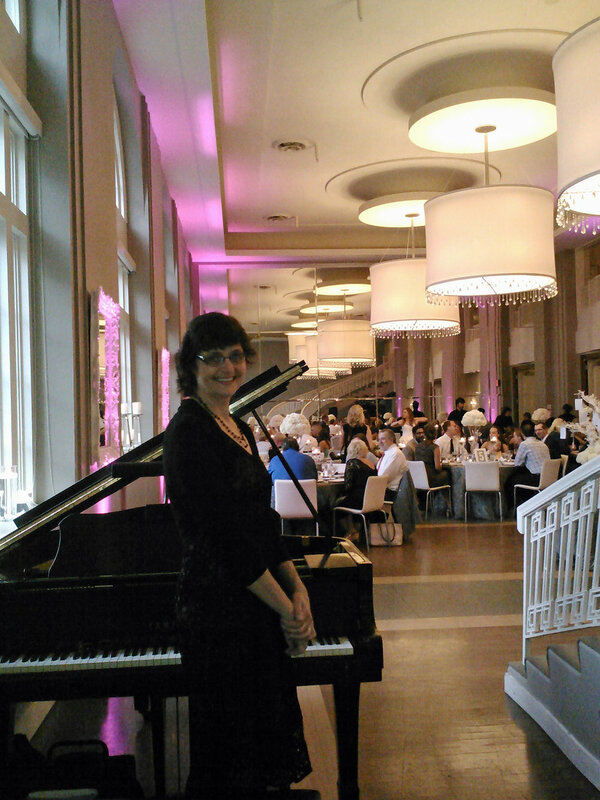 Sharon loved creating a romantic musical atmosphere on the grand piano for the newly married couple and their guests in the Boulevard Room at the Calhoun Beach Club. Dyer Soundworks is a small, custom DJ business specializing in weddings. They only do 18 events per year and provide Bose musical equipment, innovative lighting and experienced, professional emcee services. This special Mother Daughter dance was a special request from the Bride for her reception. A fun and cheerful toast was incorporated into this ceremony. Impressions Mobile Music is a mobile music experience complete with lights, music and DJ Entertainer to provide "A Night to Remember!" The guests at this wedding enjoyed a fun filled night of dancing. We have many professional Music Profressionals in Central Minnesota that would love to help you with the music that you want for your wedding. Below are the vendors that we recommend for your big day! For more ideas on Wedding Music and Entertainment and vendor contact information check out pages 95 - 107 in our 2018 Wedding Planner. You can request a complimentary copy of the Wedding Planner be mailed to you here: http://www.idoido.org/request-a-guide.